This is the general thread for the 2017 version of the WorldDB, the follow-up to the highy successful WorldDB, the PCM community's favourite Workshop DB. 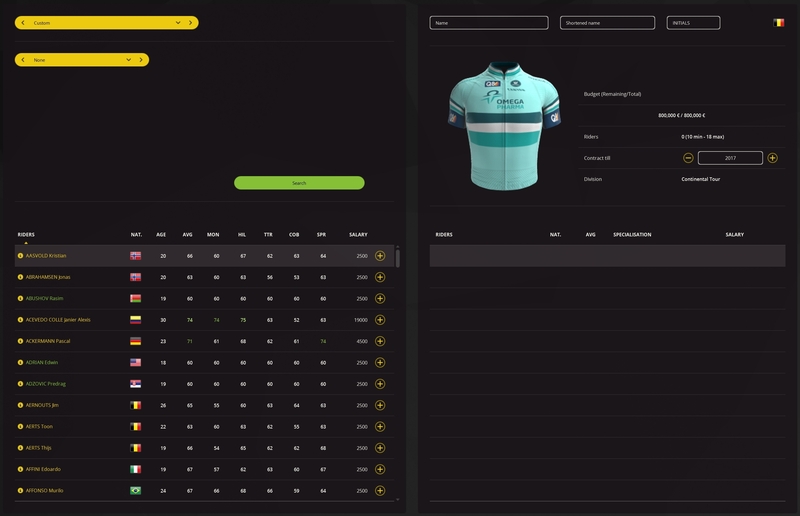 This DB is the first 2017 database available for Pro Cycling Manager 2016. In this thread you can find out everything you need to know about the DB including the download links and screenshots. Feel free to reply if you have any queries. There's also the possibility of checking out the official website, www.pcmworld.be, where we post dialy updates on what's going on with the database. You can also contact us via Twitter through the website. 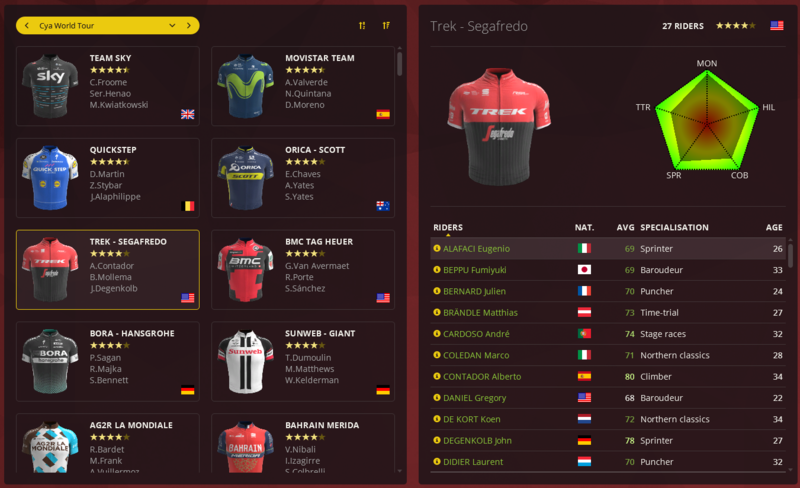 The database covers the 18 UCI World Tour teams including 2017 shirts for the ones that are announced. Per team, you have national championship shirts for every nation needed. All with the most realistic statistics out there. 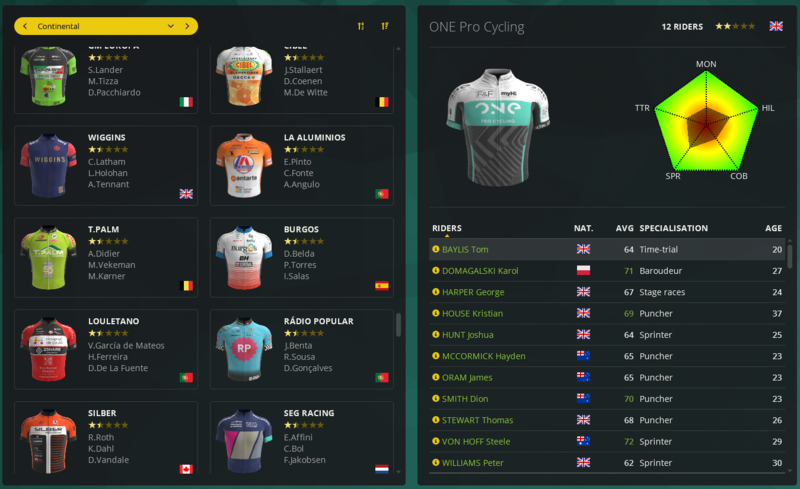 Next to the UCI World Tour teams, we also have 21 Pro Continental teams. 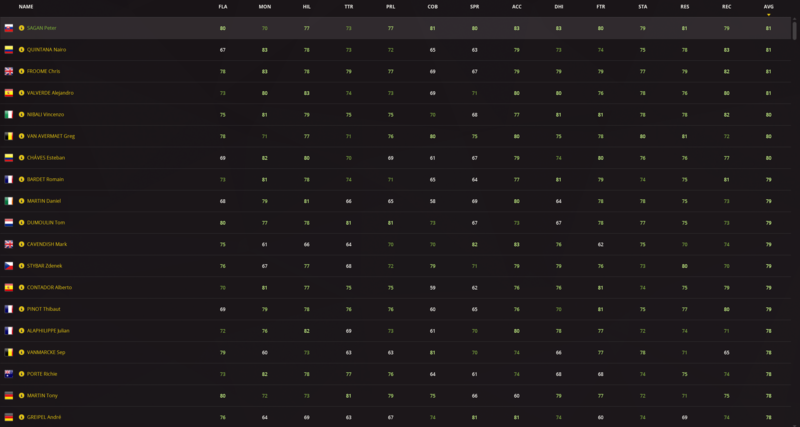 And last but not list, we feature over 120 continental teams and still counting! This is one of the biggest features of the database. After all the CT teams are done, we plan on adding amateur teams with appropriate statistics and local races. 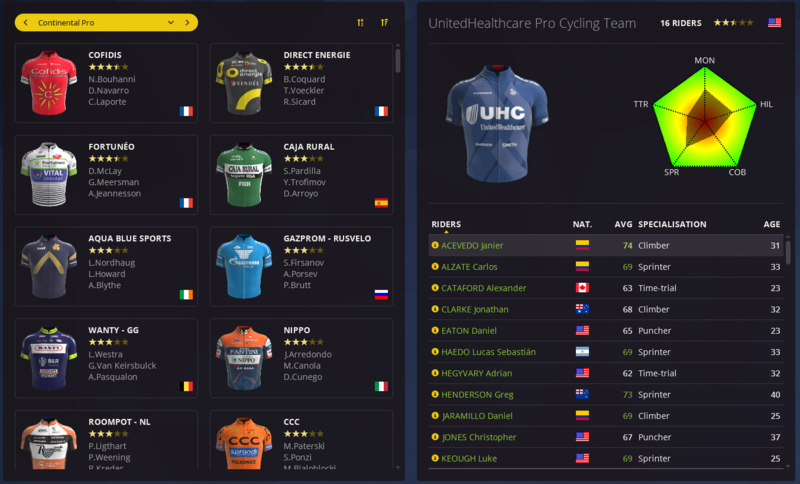 And if you're not satisfied with these teams, you can also decide to make a custom team with one of the 100+ custom shirts made by the wonderful community! Small overview of the best statistics.